Finished size: 86" x 98"
Sometimes all you need are the right words spoken at the right time. The Wisdom block of the Month pattern designed by Denice Lipscomp, includes inspirational quotes and words to live by and to think about with every month of this beautiful quilt. Patterns are delivered at the beginning of the program. Fabric will be released quarterly and is for a quilt top. 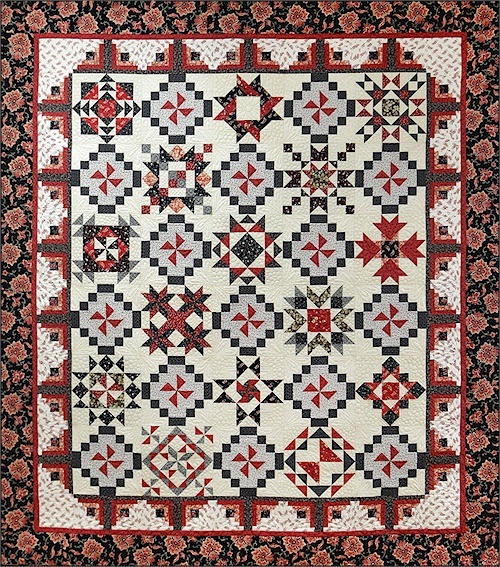 This quilt is part of an on-going Block of the Month program.